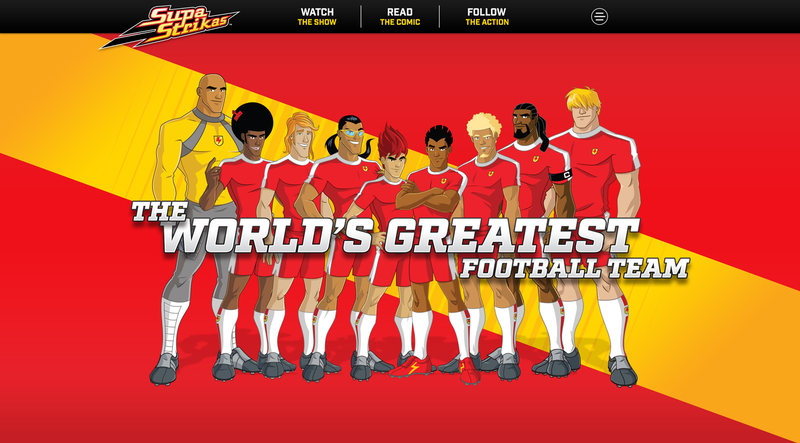 A new website for Supa Strikas - home of the world’s greatest football team. Being the best is only the beginning. The popular weekly and monthly comic and animated series, Supa Strikas, follows the action of a fictional football team - both on and off the pitch, as they travel to exciting destinations around the globe to take on the world's best, in the Super League. 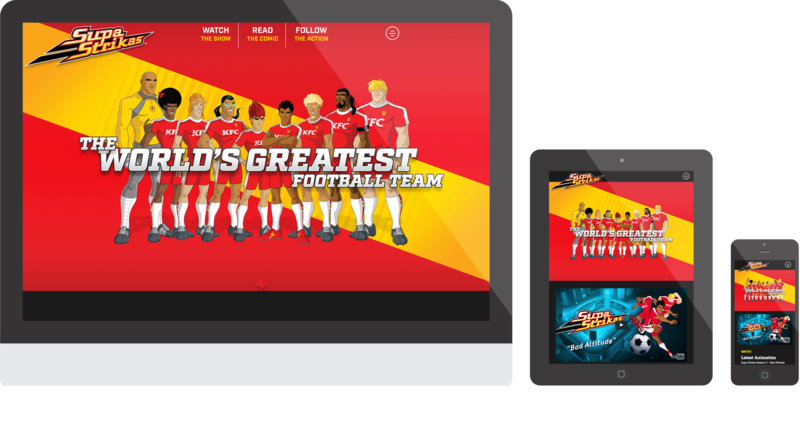 We were asked to redesign and rebuild the Supa Strikas website on Drupal, as the old one was still on Flash, which is not compatible with modern devices and wasn't mobile friendly. The client was looking for a fresh, and user-friendly website, that will allow for certain content to be delivered to country-specific versions of the website, for example sponsored branding. We wanted to keep the website's purpose of watching and reading the video and comic as simple as possible. Users should feel like they're watching/following a real football team. It must be entertaining, while still following an approach that invites audiences to come watch, read and share their thoughts. With this in mind, we were determined to find a user-friendly way to display the comic reader on a wide range of devices. We rebuilt the website on Drupal 8 with one primary page as the main focus with 2 simple links taking you to more information about the team and a contact page. 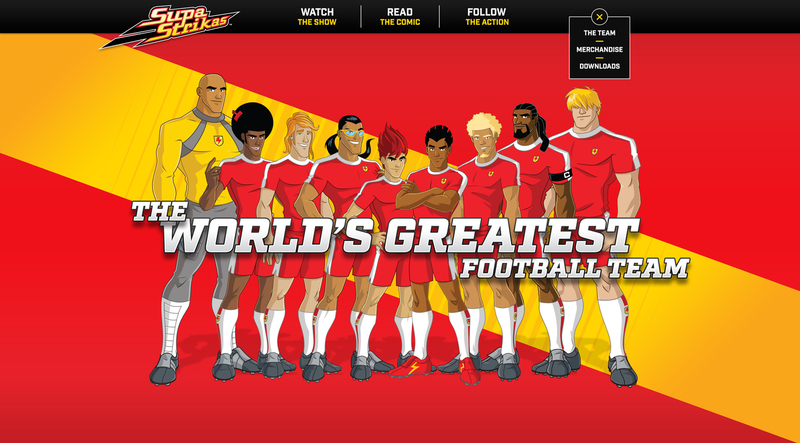 The website is now fully responsive and after having spent some time getting to know the client and their brand we incorporated very bright and vibrant colors to best represent Supa Strikas. Through the use of multiple sub-domains the country-specific content is all managed through one Drupal 8 installation and sent specifically to the site(s) where it’s required. Thanks a million to all at Amazee. Very exciting stuff.